Why I Love Being a Nuffnanger! | To Be, To Be. Tutubi. 1. You get to join awesome contests. 2. 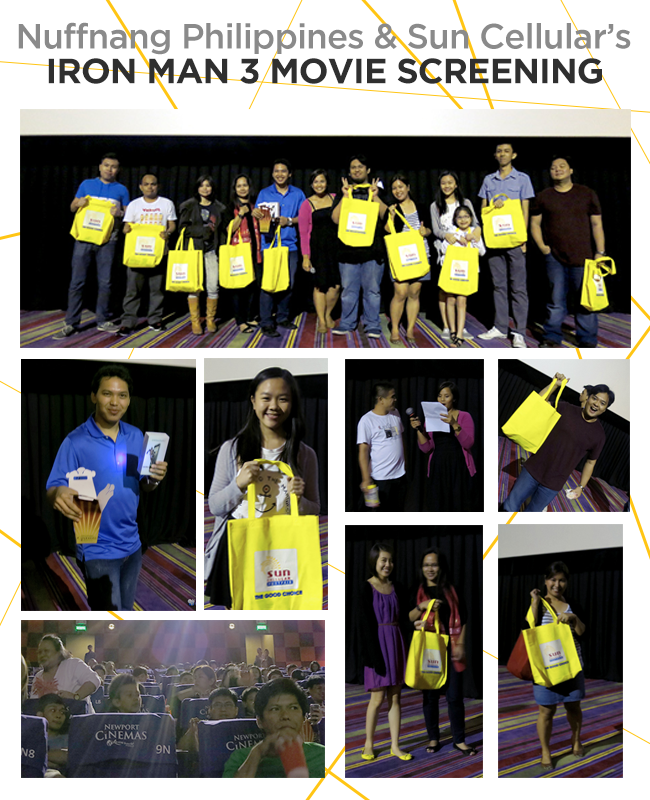 You get to win free awesome movie tickets. 3. You go home with free lots from awesome sponsors. 4. And you get to see your happy face on the Nuffnang blog! 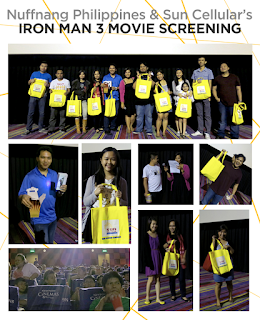 Thanks again, Nuffnang and Sun Cellular, The Good Choice in Postpaid, for this awesome movie screening of Iron Man 3!